Choosing the right advisor is one of the most important financial decisions you will make. At Enhance Wealth Advisors®, we understand that trust is something that must be earned. To do that, we will listen to your hopes, dreams, and goals and help develop a customized plan to guide you from here to your future. Our goal is to help you plan well to enhance your present and future. We provide comprehensive and objective investment and financial advice to a select group of clients. Our advice focuses on asset accumulation and preservation through tailored, individual investment strategies and careful selection of investment managers. 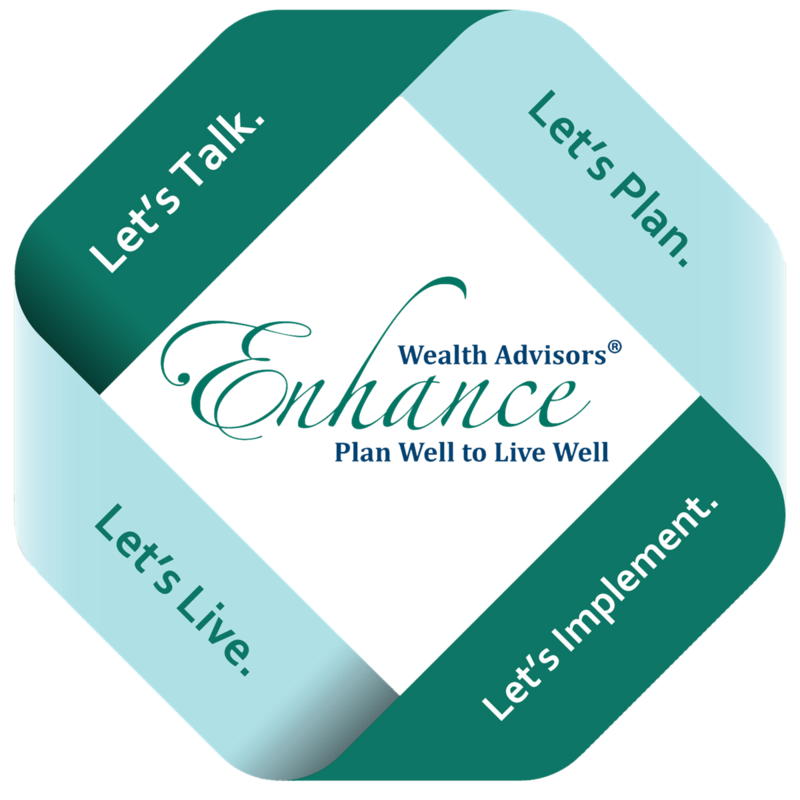 Enhance Wealth Advisors® provides comprehensive wealth advice and financial planning services to people who enjoy life, are willing to delegate, and are eager to make smart planning choices for their future. To ensure a well-rounded, comprehensive financial plan specific to the individual, we collaborate with our clients’ other advisors, such as lawyers and accountants, when the need arises. We believe that in order to offer the highest level of financial advice to our clients, we must embrace the best available tools. Our team is committed to staying informed on the latest developments in technology so that we may continue to provide the best possible service, and we’re always looking for new and unique ways to help our clients. Let’s Talk. Who are you? What is changing around you? What keeps you awake a night? What do your ideal present and future look like? We can help. Let’s Plan. With your answers in mind, we work with you to create a personal action plan that is clear and targeted towards your financial goals. Let’s Implement. Together, we put your plan into motion. You will have continuous access to real time financial data based on the plan you helped design and we are working to enhance. Let’s Live. We understand that things change. Whether in your own life or the world around you, we monitor these changes and work with you to adjust your plan accordingly. Your living plan moves with you; no matter where you are, what you are doing or how you decide to do it. We develop a plan that will help get you to where you want to go.